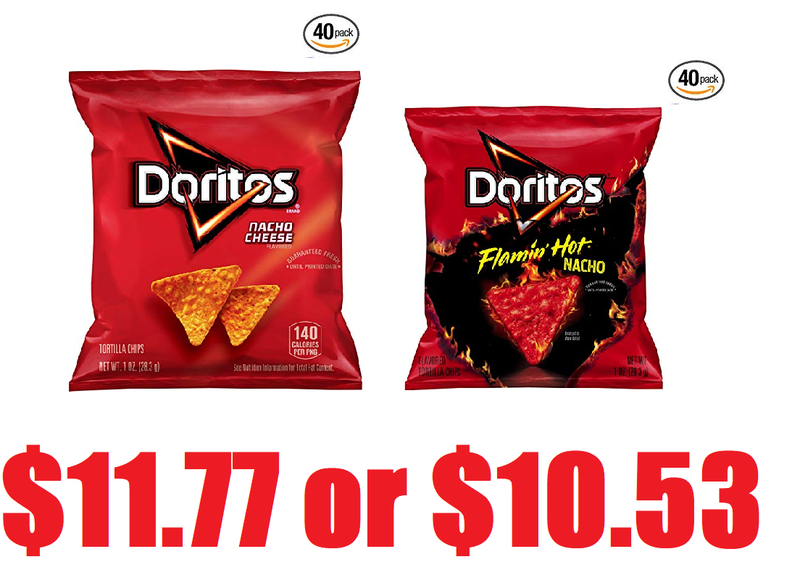 40 Bags of 1oz Doritos Nacho Cheese Flavored Tortilla Chips $11.77 + Free Shipping or $10.53 With 5 Amazon Subscribe & Save Discounts, 40 Bags of Flamin' Hot Doritos $11.16 or $9.72. Clip the $2.50 off Coupon located under the price or product description. If you are on mobile scroll all the way to the bottom of the page and click on Amazon Full Site so that you can see the coupon.